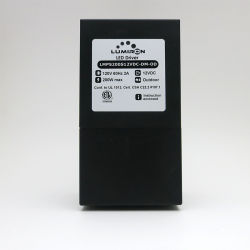 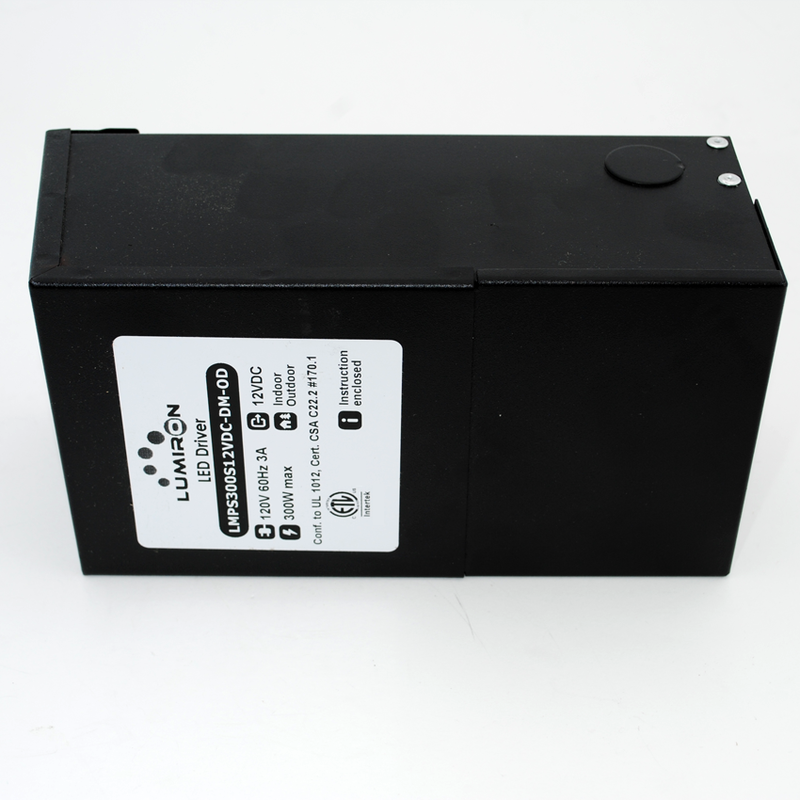 POWER SUPPLY MAGNETIC MLV 300W 12V with any LV magnetic dimmer as long as you cover dimmer’s min load. 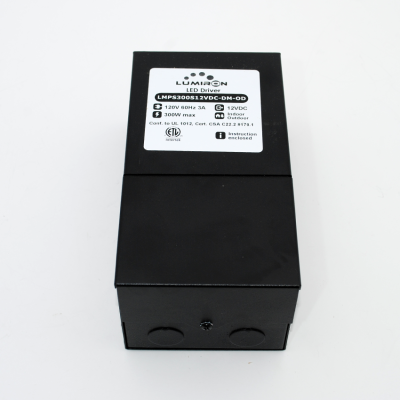 Thermal manually reset primary breaker 5A. 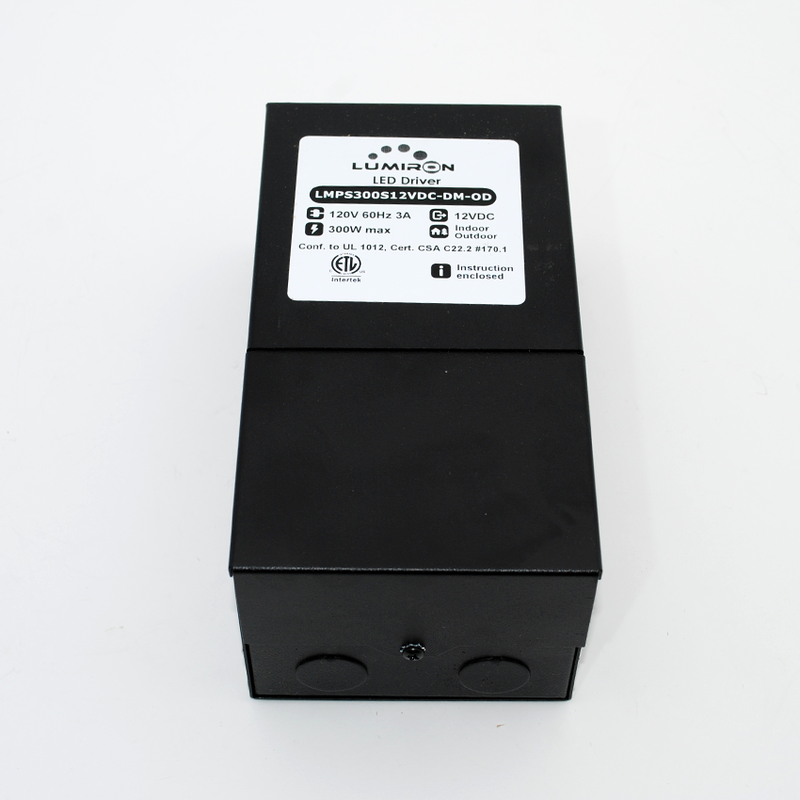 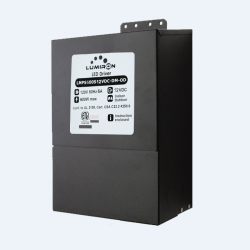 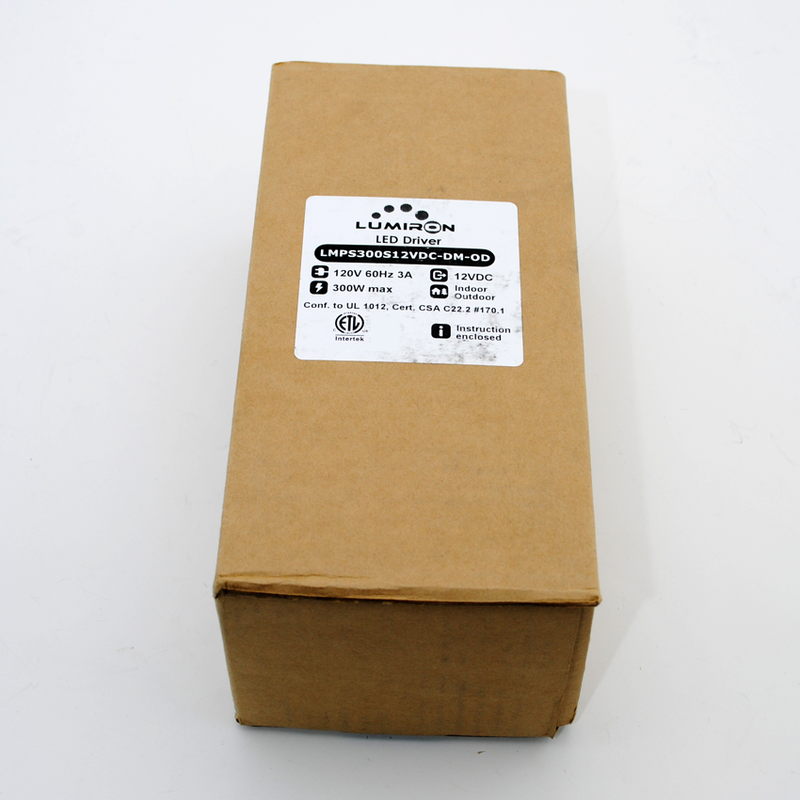 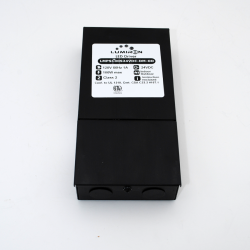 The actual POWER SUPPLY MAGNETIC MLV 300W 12V transformer 300W is encapsulated in the enclosure. 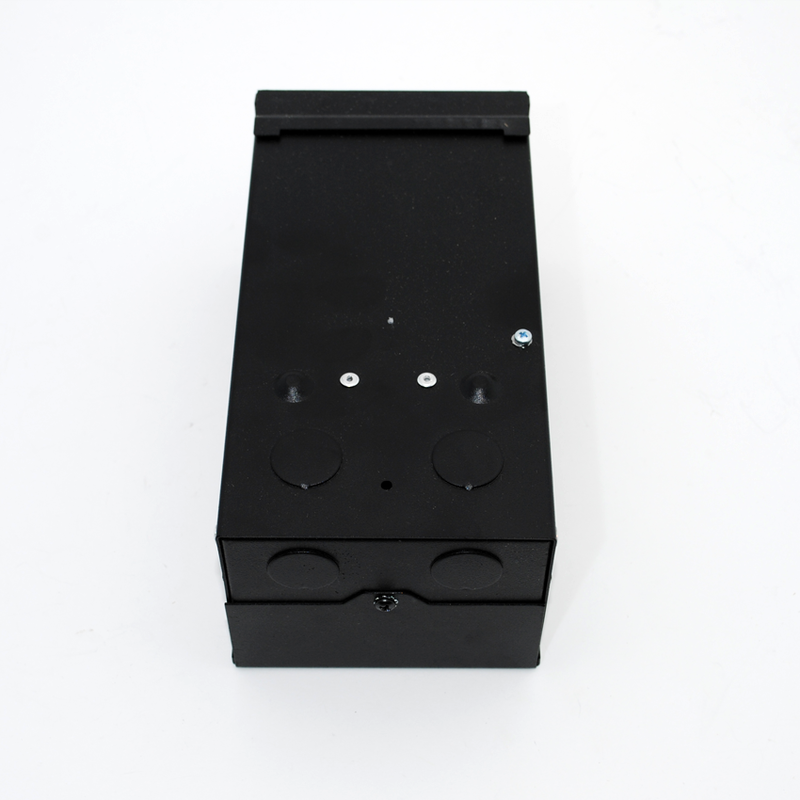 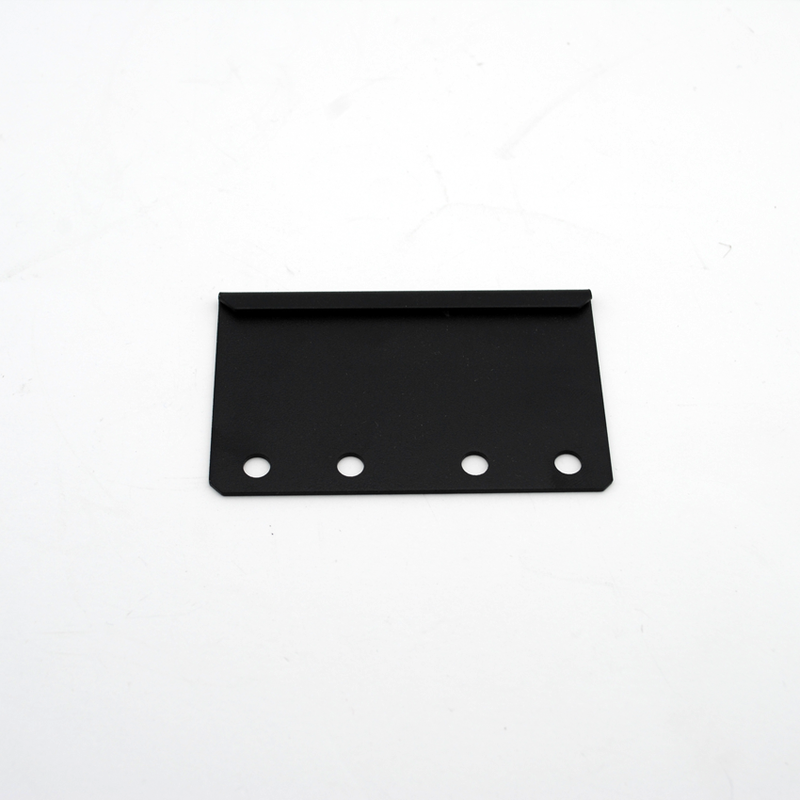 Wiring compartment has 6 knockouts sizes for 3/8 inch screw cable connectors.